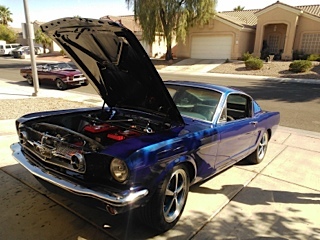 Multiple Events in Las Vegas included electric car presentations to students and faculty at East Career & Technical Academy, to first responders at the Nevada Traffic Incident Management coalition, and to the Solar NV chapter of the American Solar Energy Society. The Nevada Electric Vehicle Accelerator staged a statewide webcast. Green Alliance of Nevada hosted a panel discussion at Planet Hollywood on the Las Vegas Strip about the "Future of Transportation n Nevada that included state senators Kelvin Atkinson (Energy Committee) and Pat Spearman (Transportation Committee). 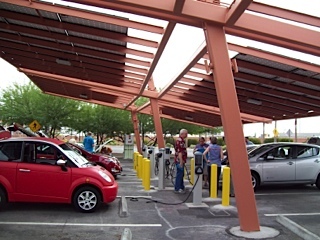 An "Electric Juice Bar Crawl" toured local EV recharging sites. The Las Vegas electric vehicle community will celebrate National Drive Electric Week on Saturday, September 20th from 10 AM to 2 PM by hosting a "Juice Bar Crawl" with electric cars, drivers and riders who will tour local electric vehicle supply equipment (EVSE) sites in the Las Vegas valley. 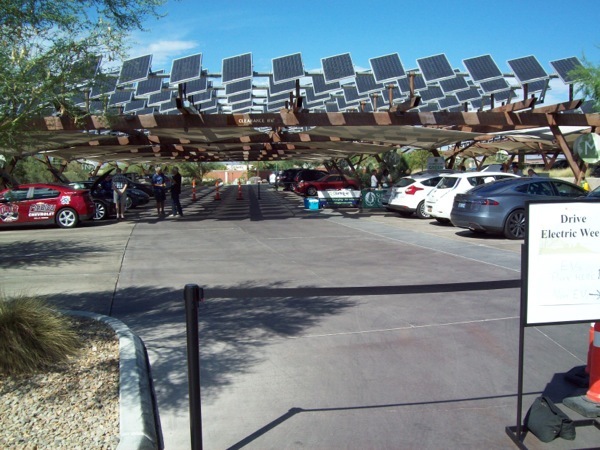 Please come join the gathering at the Springs Preserve parking lot, under a photovoltaic solar cell canopy that harvests sunlight to supply power to four ChargePoint SAE J1772 AC Level 2 recharging ports. 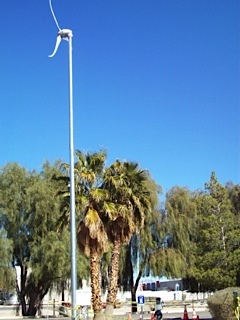 Electric cars will be leaving every 20 minutes during that time to visit other local "juice bars" in the Las Vegas valley: Clark County Government Center, Las Vegas City Hall, North Las Vegas City Hall, Downtown Las Vegas Supercharger Station, Las Vegas Convention Center and an abundance of resorts and casinos along the Las Vegas Strip. Active organizations participating in the "Juice Bar Crawl" include members of the Las Vegas Tesla Owners Group, Las Vegas Electric Vehicle Association, Nevada Electric Vehicle Accelerator, Green Alliance of Nevada, Drive Clean Energy Las Vegas, Solar NV, SHIFT, as well as representatives from local dealerships who sell the Chevrolet Volt, Nissan LEAF, Ford Focus Electric, Ford Fusion Energi, Ford C-Max Energi, BMW i3, Mitsubishi iMiEV, Porsche Panamera S E-hybrid, and Cadillac ELR. 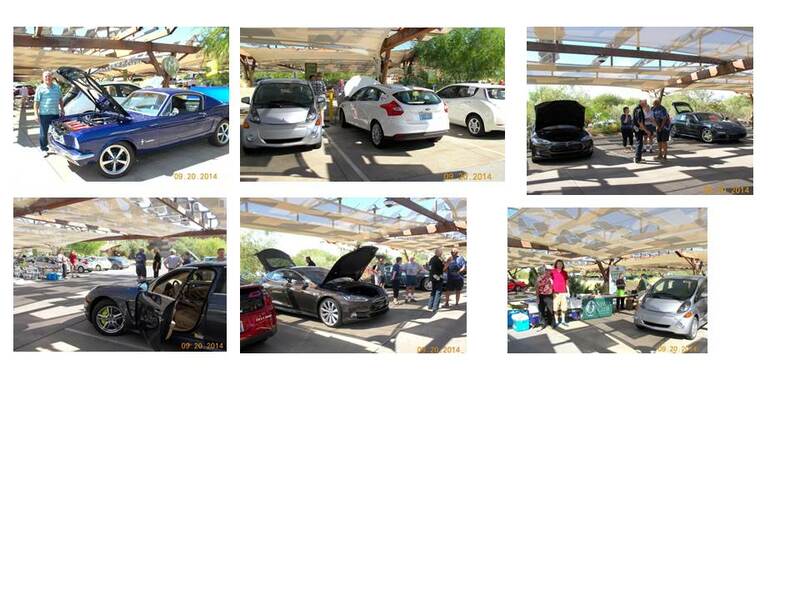 From September 15th to 19th, the EV community is also scheduled to visit local schools and non-profit organizations to exhibit plug-in electric cars and talk about the technology necessary to support a sustainable transportation system in the Mojave Desert. Registered attendees report 54,499 electric miles driven.